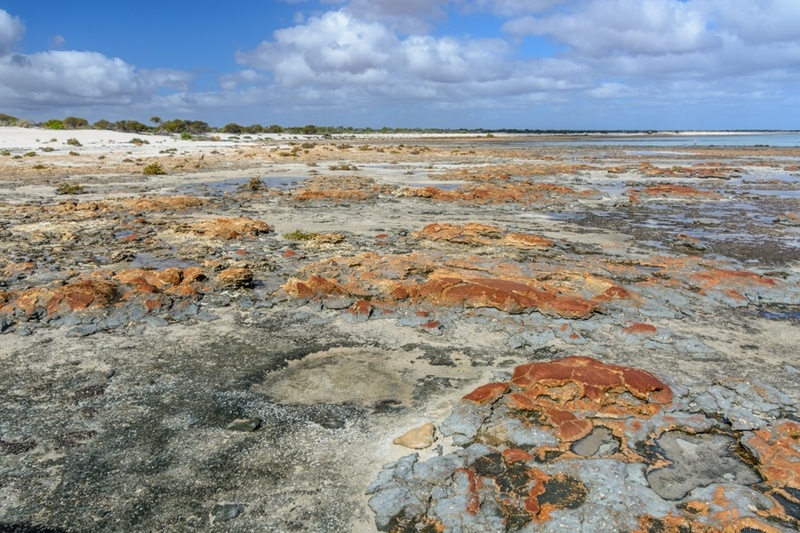 Shark Bay, in Western Australia, is an amazing place home to extravagant geology and huge biodiversity. 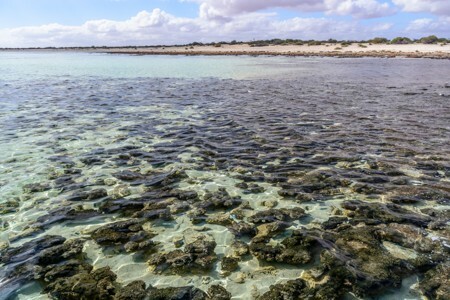 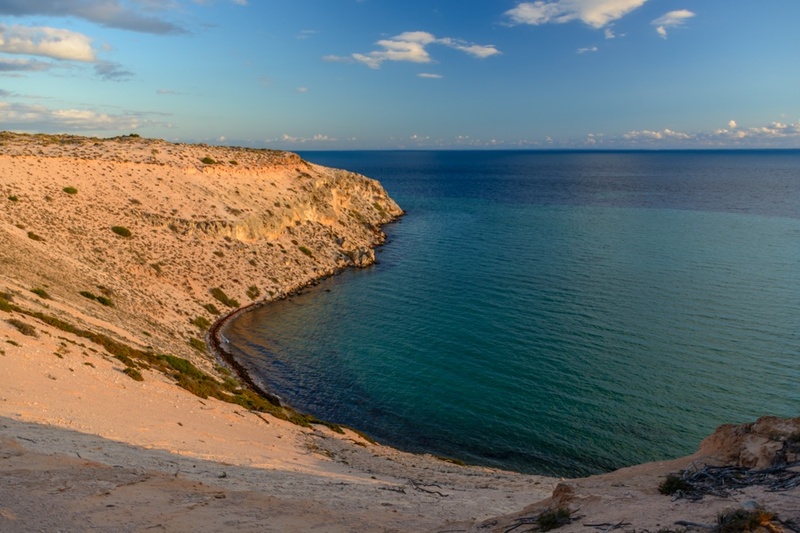 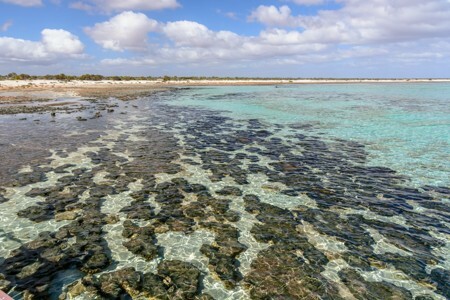 Shark Bay is one of the few places in the world where it is possible to observe living stromatolites without having to dive, while Monkey Mia dolphins will entertain the visitors along a sandy beach. 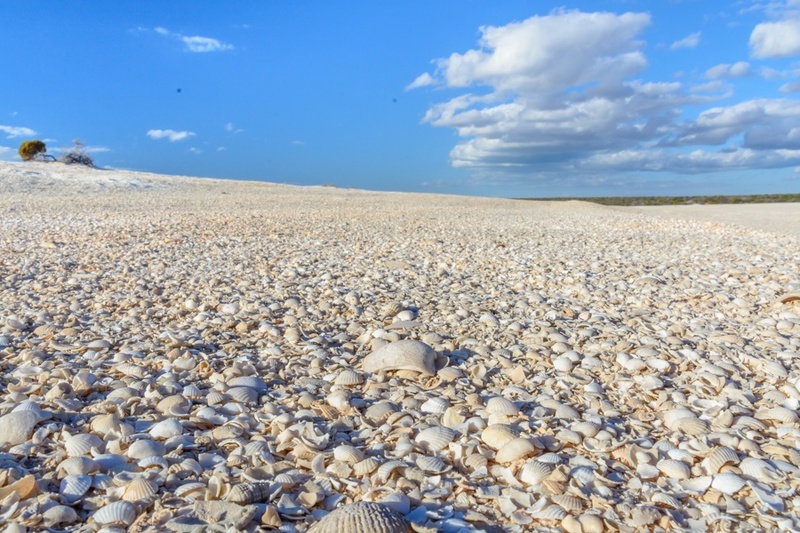 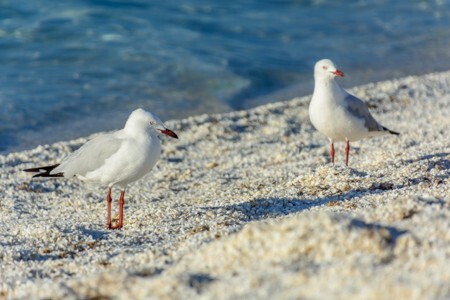 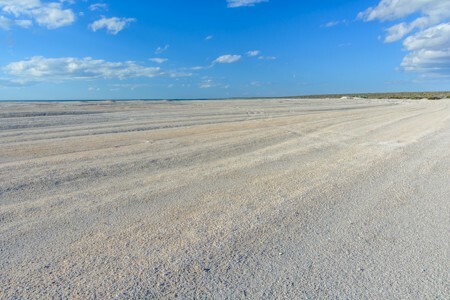 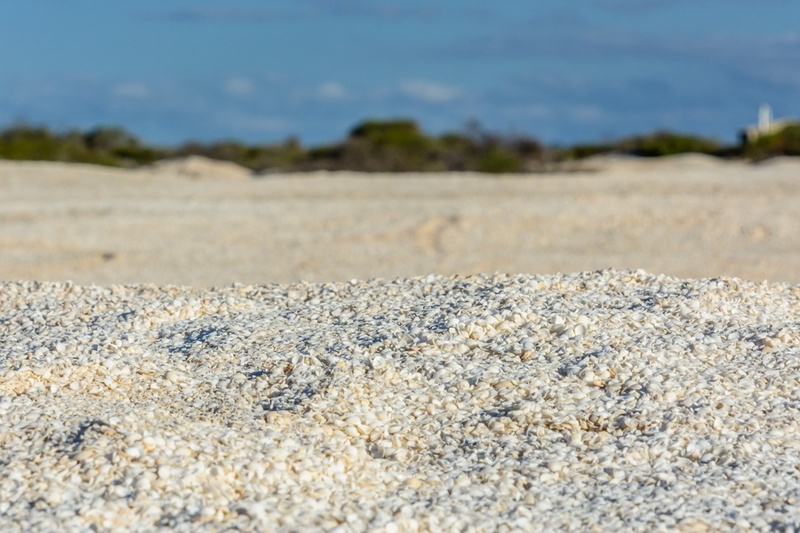 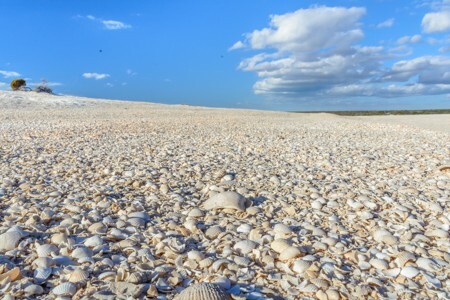 Shell Beach will instead surprise you, because it is made exclusively of billions and billions of small white shells. 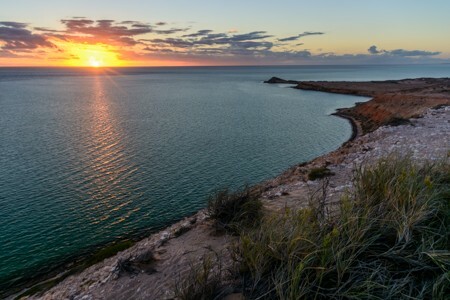 Shark Bay is located in Western Australia, about 800 kilometers north of Perth and the entire area is declared a UNESCO World Heritage Site for the biodiversity and for the geological features. 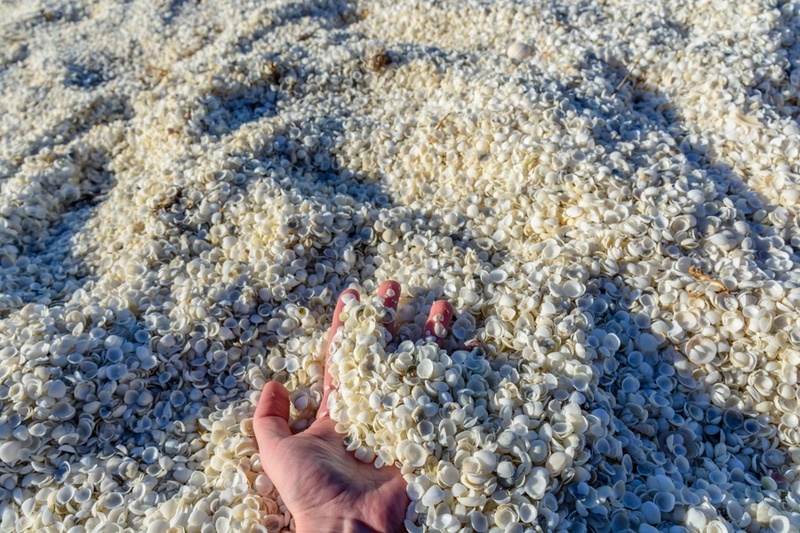 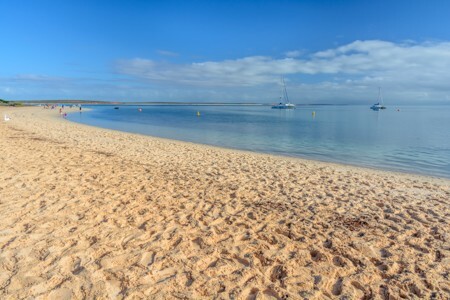 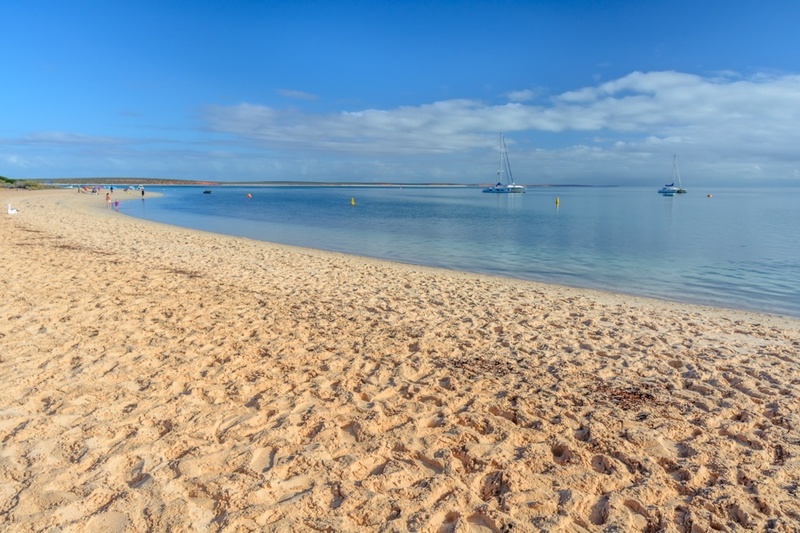 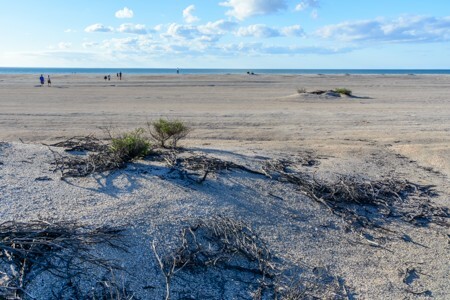 A stop that must not be missed during a visit to Shark Bay, is at the beautiful Shelly Beach, a beach made exclusively of billions and billions of small white shells. 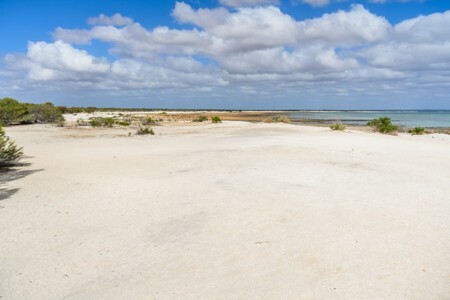 Pictures of Shelly Beach in Shark Bay, Western Australia. 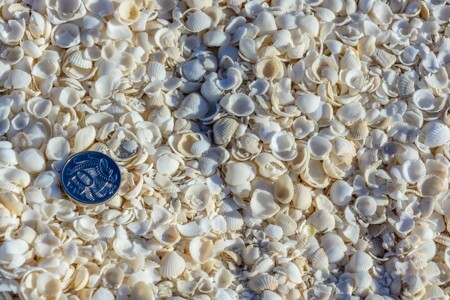 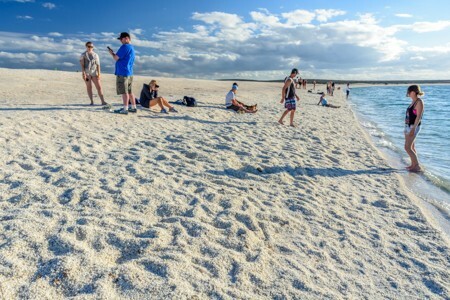 Shelly Beach is about 60 kilometers long and the shells are found up to a depth of 7-10 meters. 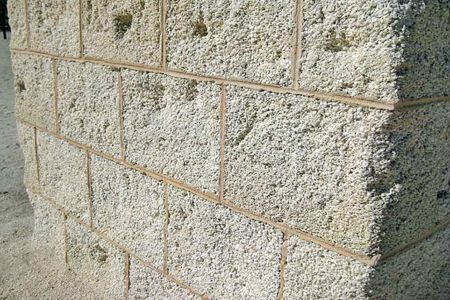 The amount of the shells is so unimaginable, that while being a protected area, a small part of the beach is industrially exploited to manufacture bricks of compressed shells, used for local buildings. The atmosphere in Western Australia is always very clear and the sunsets have beautiful colors. 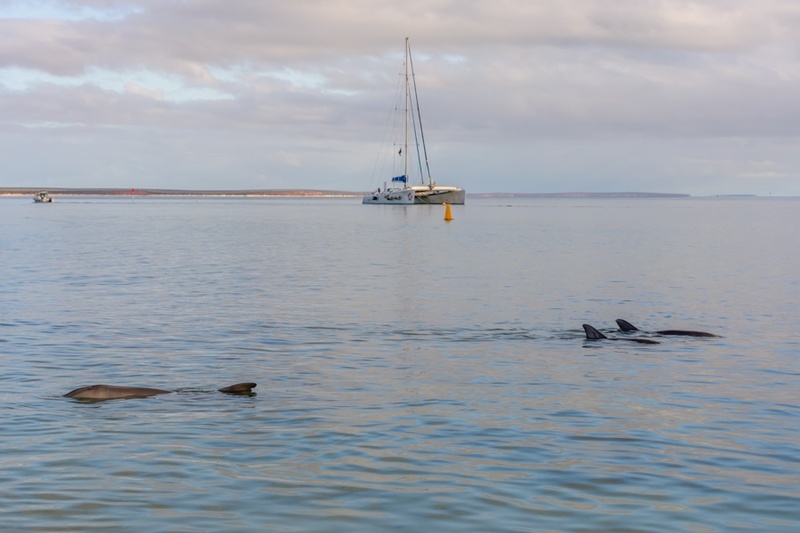 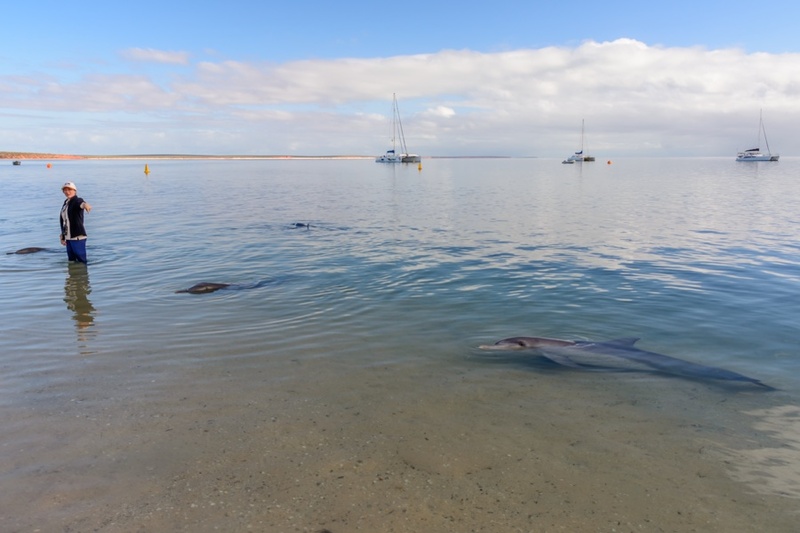 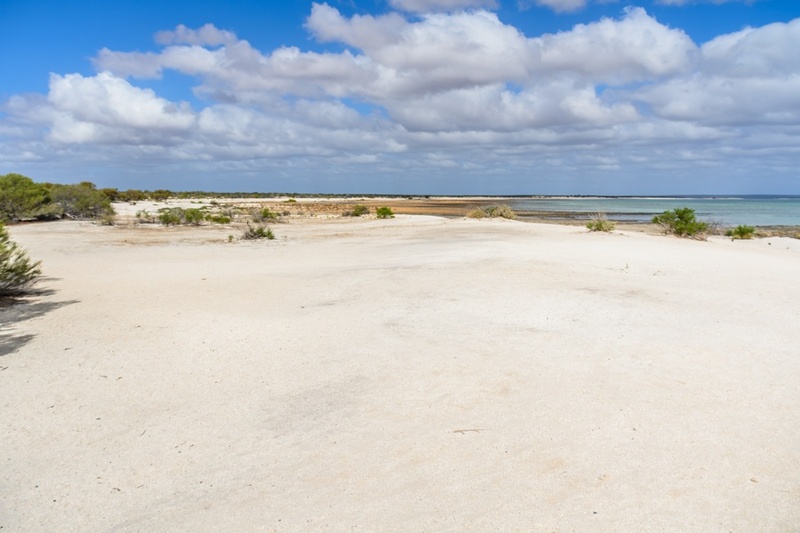 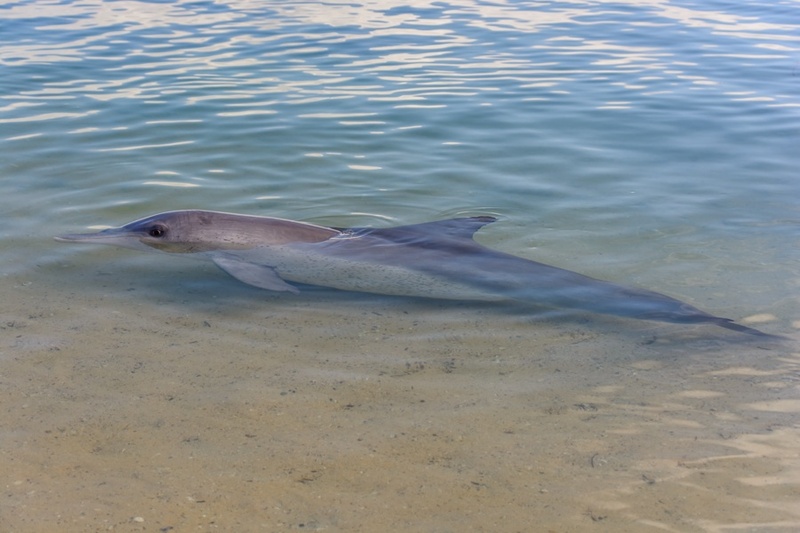 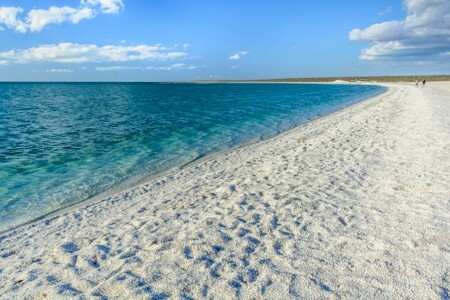 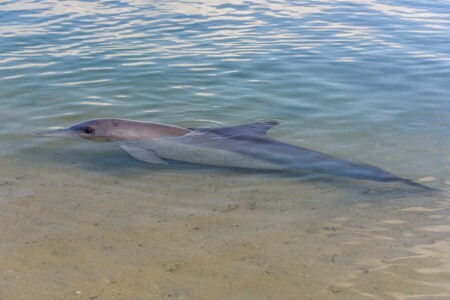 Monkey Mia is a small town located in Shark Bay, known for wild dolphins visiting the beach every morning. 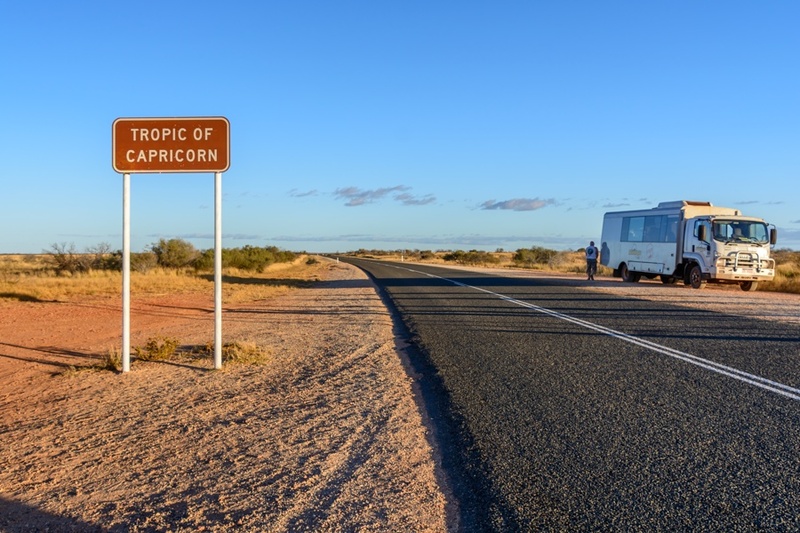 Although there are still few tourists in Western Australia, this was the only occasion throughout the long trip, where I felt immersed into the industry of mass-tourism. 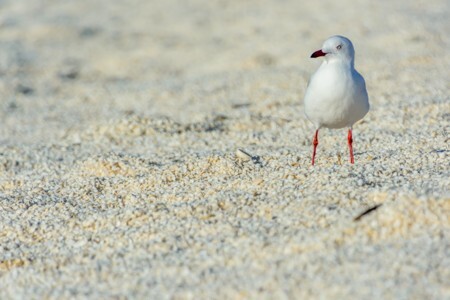 It was much like a show, rather than a casual encounter into unspoilt nature. The Dolphins visit Monkey Mia from generations, as they know that they can find easy food for fishermen working in this bay. 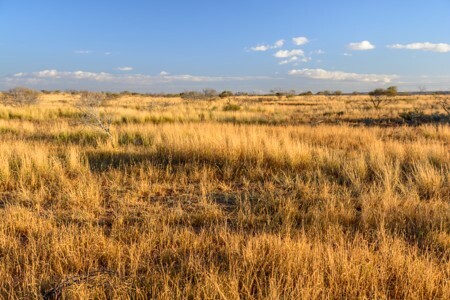 Animals usually appear in the morning, shortly after dawn. 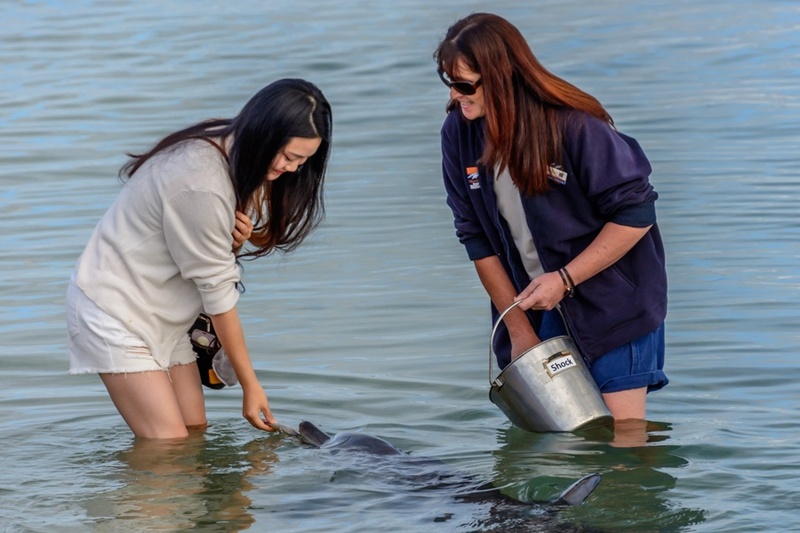 Some rangers check that tourists do not get too close and explain history of the place and biology of the animals. 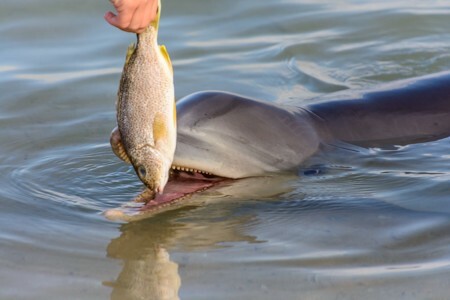 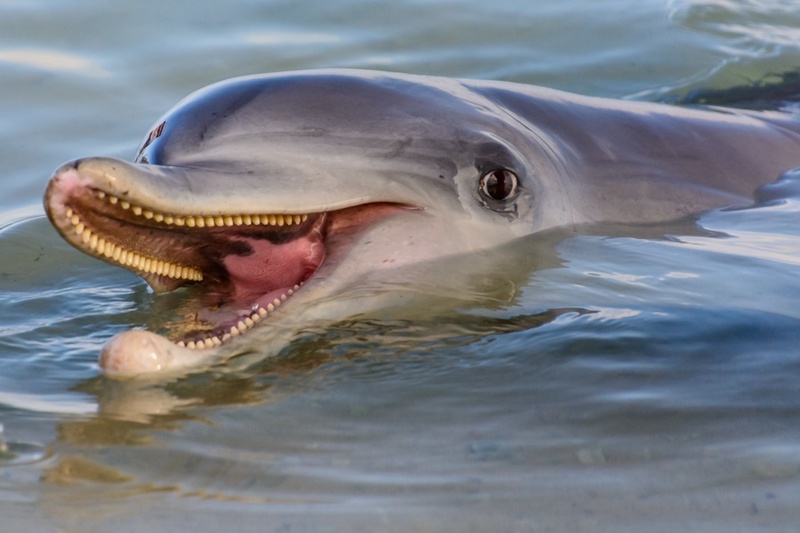 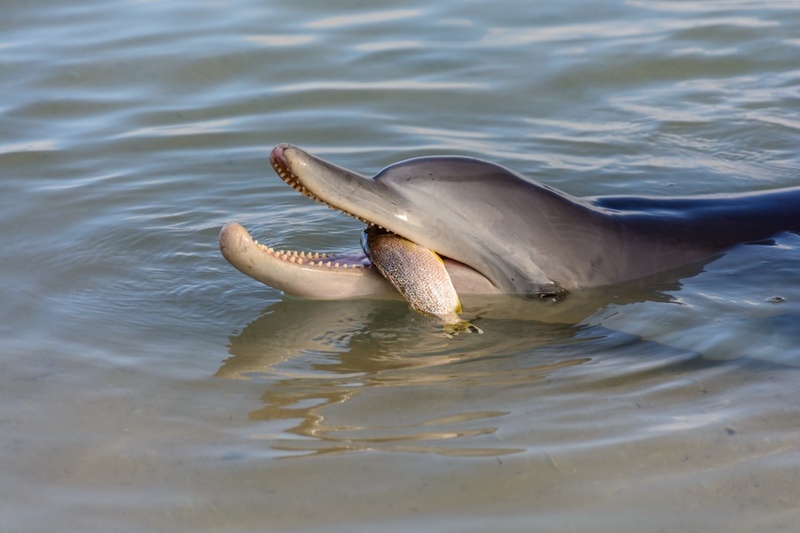 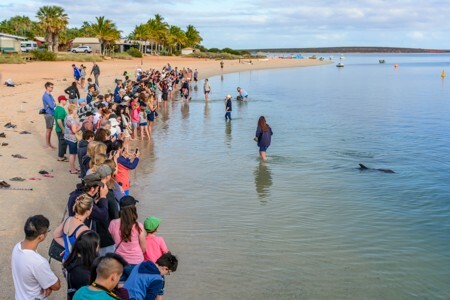 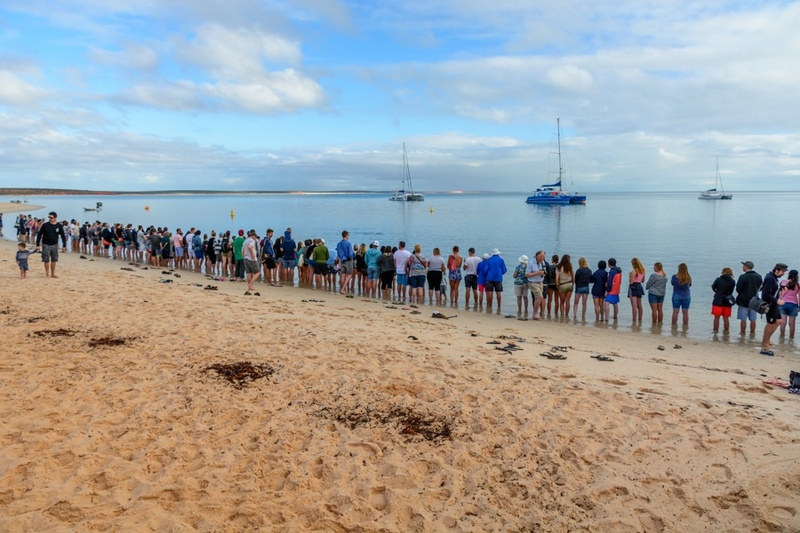 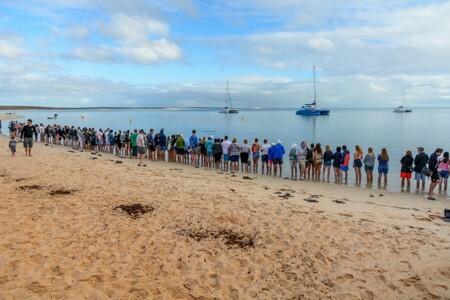 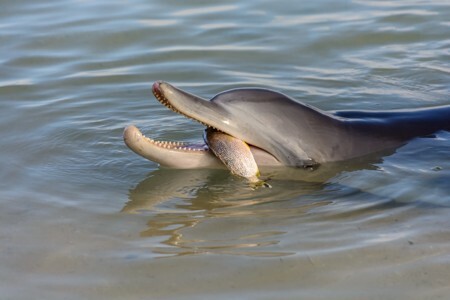 At different time intervals, there is the chance for some randomly chosen tourists to feed dolphins, an activity for which Monkey Mia is very famous. 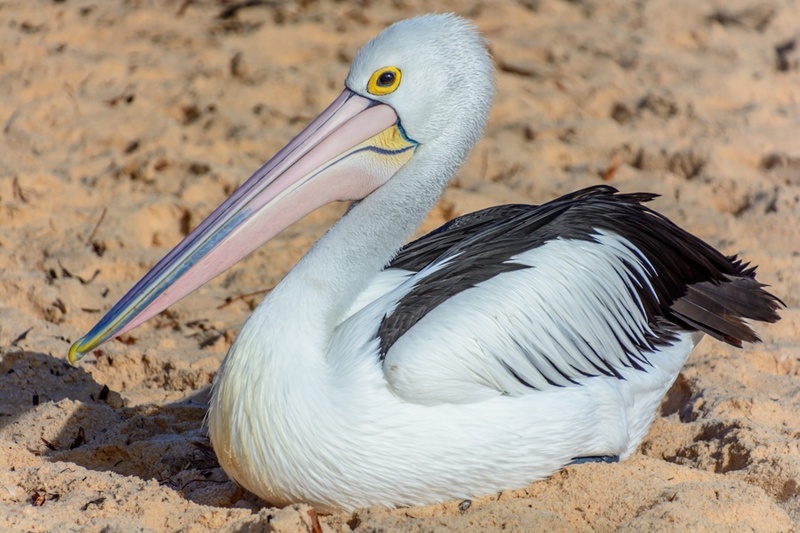 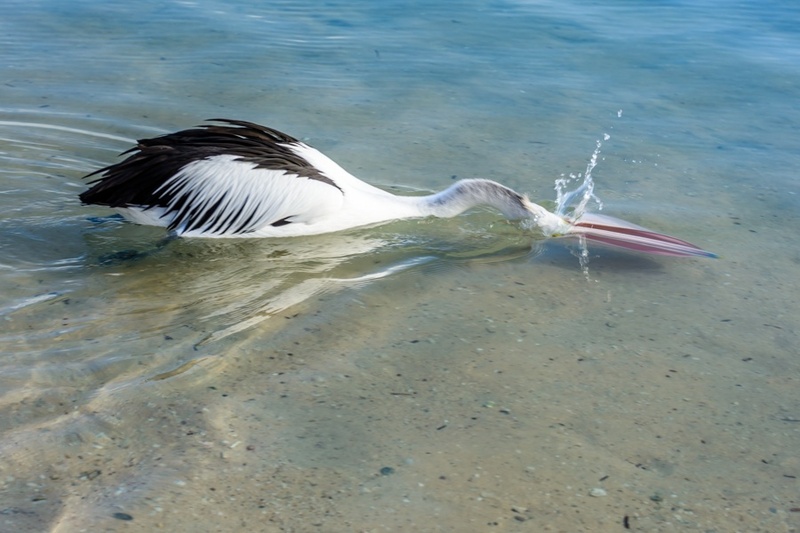 Monkey Mia beach is also visited by pelicans, and it is not uncommon to observe them while fishing near the shore. 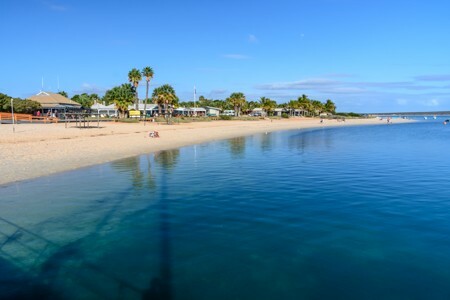 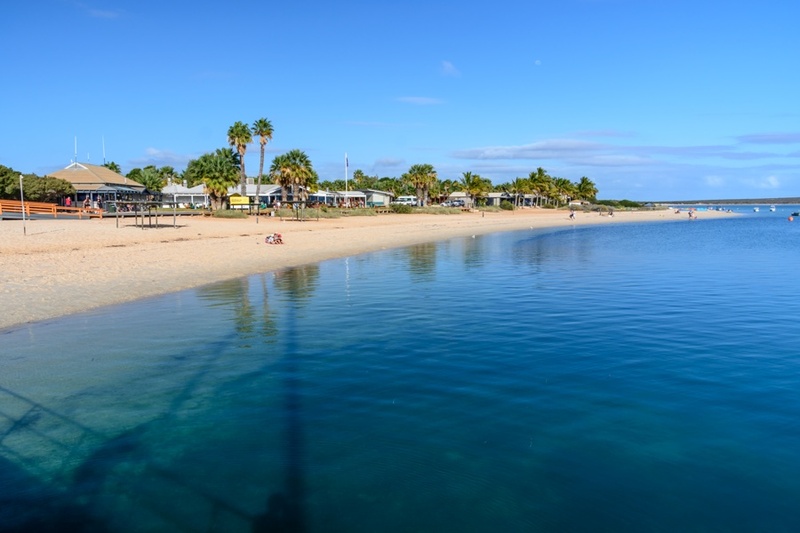 Without tourists waiting for dolphins, Monkey Mia beach is definitely more inviting. 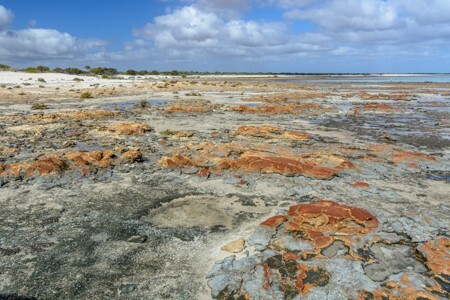 Shark Bay, in Western Australia, is known to be one of the few places in the world where it is possible to observe live stromatolites at Hamelin Pool, sedimentary structures formed by the activity of microorganisms that cause the accumulation of calcium and other minerals. The growth of the structures is in the order of 0.3 millimeters per year, indicating that many are thousands and thousands of years old. 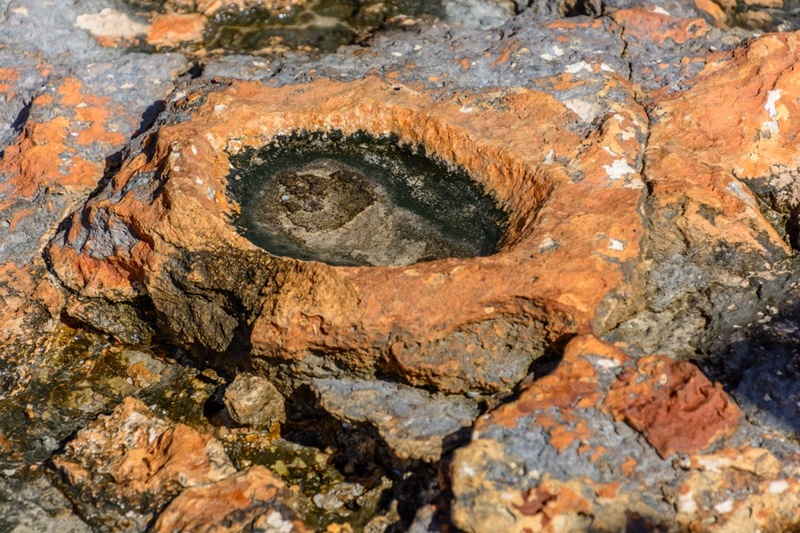 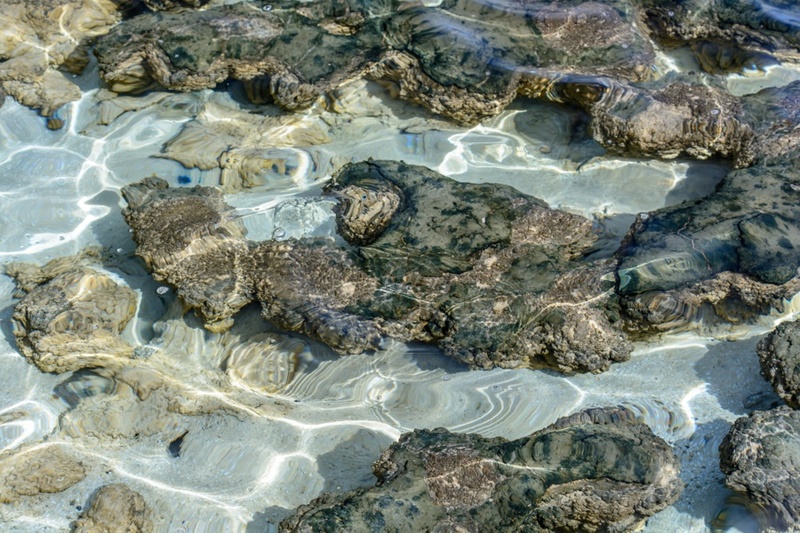 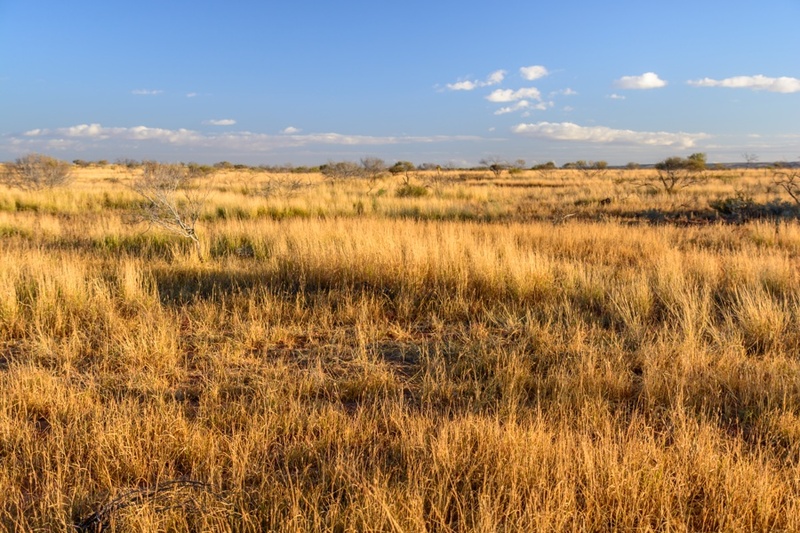 The stromatolites host some of the oldest forms of life on the planet, as fossil structures dating back nearly to 4 billion years, have been found. 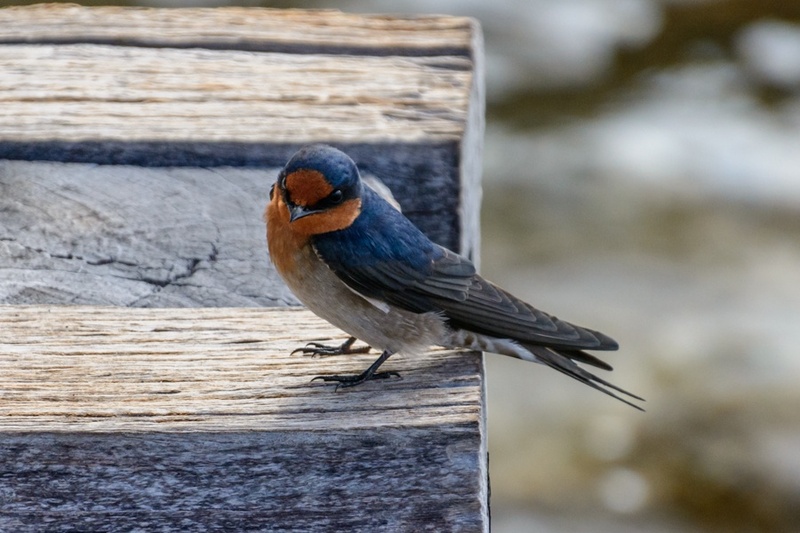 A colorful bird at Hamelin Pool. 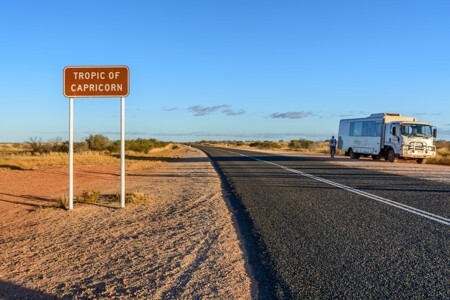 Leaving Shark Bay behind and continuing the journey in Western Australia to the north, we cross the Tropic of Capricorn, among a dry Australian Savannah.